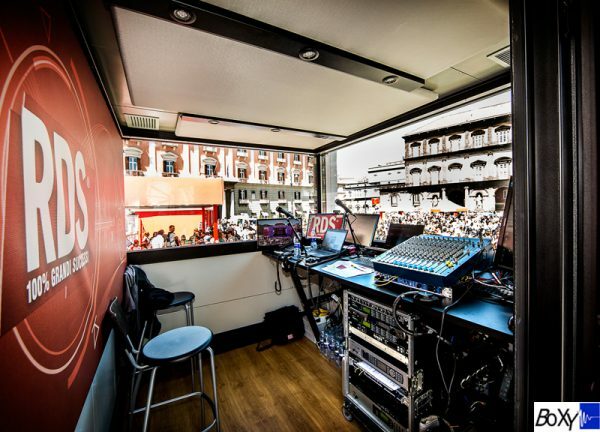 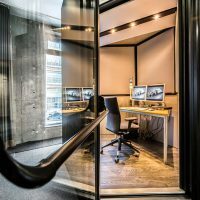 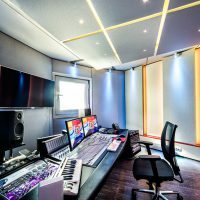 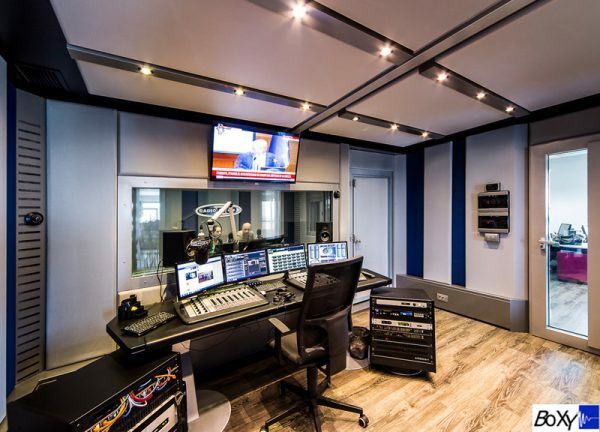 Whether you are broadcasting company looking to renovate a studio suite, a production company looking to expand or a freelance sound specialist looking to build a studio at home, Amadeus Acoustic Solutions are proud to present the future of broadcasting, editing and production studio build…. 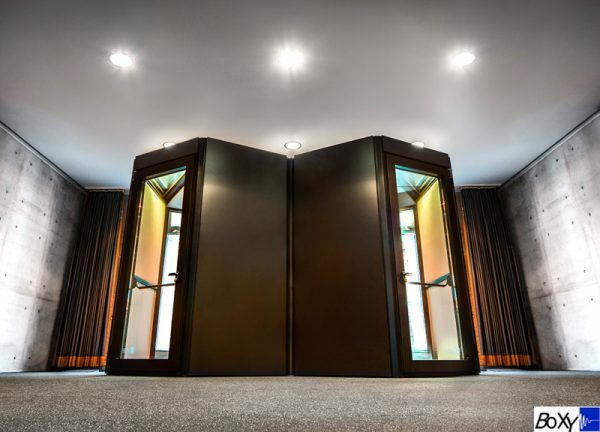 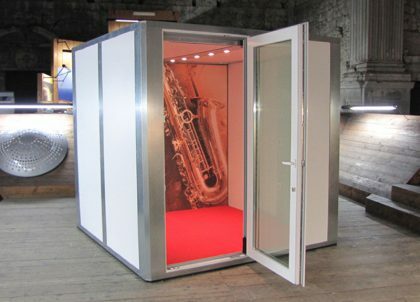 Designed and fabricated in Italy by B-Beng and distributed in the UK by Amadeus Acoustic Solutions, the BOXY studio system is the only modular soundproofed system capable of guaranteeing final room-to-room transmission reduction over 65dB and internal reverberation control of 0.2-0.4 seconds. 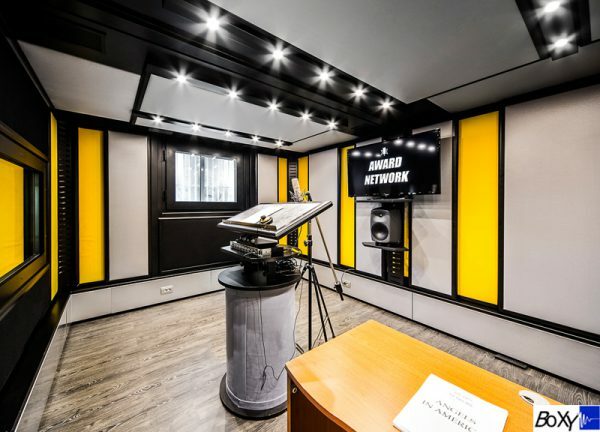 Beautifully designed and crafted, the studios’ modularity affords exceptional flexibility during the design stage making best use of all available studio space and thereby enabling the client to create the perfect environment for a variety of uses, from broadcasting to production. 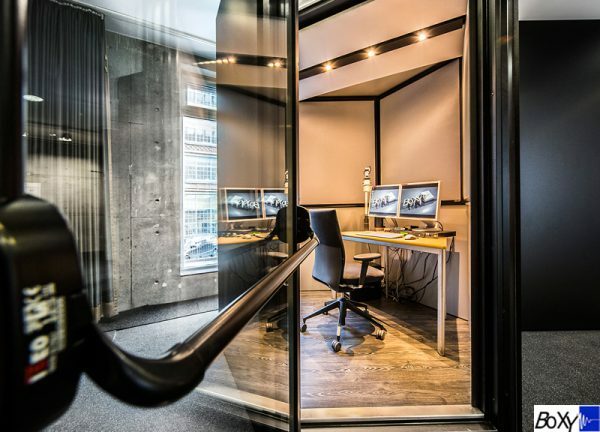 Compared to traditional build methods, BOXY modular studios provide faster, cleaner, turnkey installation with no hidden costs and guaranteed room-to-room sound transmission reduction of over 65dB. 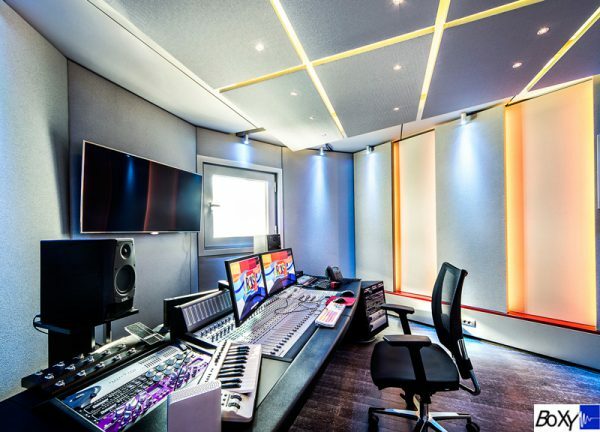 The studios are designed, manufactured and delivered in sections, and then built from the ground up by Amadeus’s team of experienced installers. 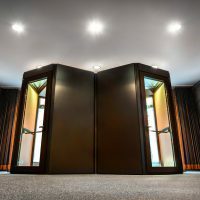 The construction process is completely ‘dry’ making it around 75% faster than traditional construction methods, and results in a far cleaner, more manageable site. 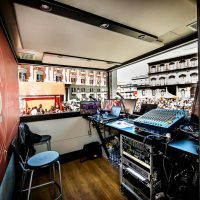 Room installation takes two days per space (on average) and electrics, lights and HVAC are all integrated as part of the package. 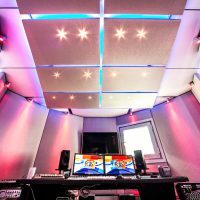 Once built, your BOXY studio becomes a valuable asset to your company or venture with the rooms’ modularity significantly contributing to their longevity – should your business need to move premises, BOXY studios can move with you as they can be demounted, relocated and reinstalled easily and with no material wastage. 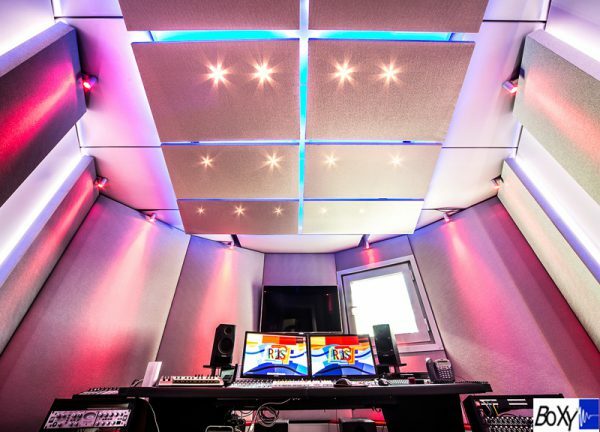 Amadeus Acoustic Solutions has been providing acoustic rooms and studios, both modular and bespoke, for over 15 years. 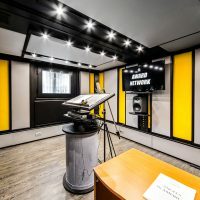 Recent collaborations with B-Beng have included their largest installations to date comprising two music studios for Terminal Studios, Bermondsey, with studio size requirements of 11m x 7m and 7m x 5m respectively, and a theatre space of 12m x 11m with additional control room for Royal Northern College of Music.